This brand-new playground offers fenced-in fun for kids of all abilities. Adventure Playground is a DIY playground and a special DIY birthday party destination. Tow party supplies to the adjacent Shorebird park and party on! Our favorite fantastic places in the Elmwood to enjoy with children including where to eat, where to play, and where to shop! 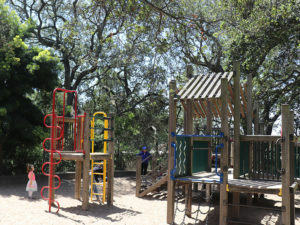 Discover a new-to-you playground or park in Alameda, CA. 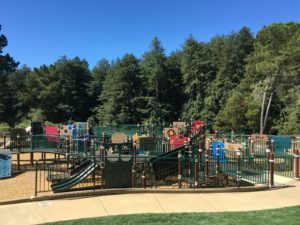 Tilden Park has fantastic free activities for families. Some of our favorite family places in Tilden Regional Park are totally free. Which ones do you love? Free and Cheap activities for your family this month. Some of the best things in life are FREE, right? Now go do them with your kids in the East Bay already. From downtown Berkeley’s Habitot to the best attractions on the Cal campus, this is a guide to fun things to do with kids in Berkeley. Lincoln Park is beautiful because of the awesome trees and the safe, inviting vibe. It’s a lovely place for Alameda’s East End families come together to play and be active.